Bollywood actress Priyanka Chopra, appointed as UNICEF's newest global Goodwill Ambassador, urged people from across nations to become the "collective voice" of oppressed children in the world and join forces to leave a better future for the coming generations. 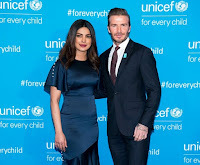 Footballer David Beckham and 12-year-old British actress Millie Bobby Brown announced Chopra's appointment as UNICEF's newest global Goodwill Ambassador at a star-studded celebration on late Monday night to commemorate 70 years of the world body's children's agency. "My wish for children is freedom. The freedom to think, the freedom to live," Chopra said, addressing top UN diplomats, UNICEF Goodwill Ambassadors and children at the event. 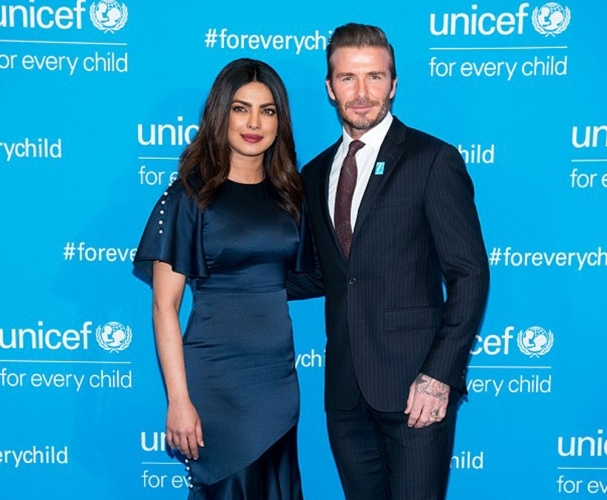 The "Quantico" star was joined by UNICEF Goodwill Ambassadors Ishmael Beah, Beckham, actors Orlando Bloom and Jackie Chan at the event that celebrated UNICEF's 70 years of work for children. Chopra said her involvement with UNICEF began almost 10 years ago in India and she was "humbled, enriched and committed" as she takes on her new role of the agency's global Goodwill Ambassador.